Let me guess. You’ve been trying to learn SEO by reading tons of articles, attempting secret “hacks,” and following SEO gurus on social media. And while you were hoping to get results, all you've gotten is more confused. But what if there was a single source of truth, one that could teach you how to actually rank on Google? Oh, wait. There is: ClickMinded. But you have to move quickly because we are running out of codes! Tommy Griffith has been doing SEO strategy for nearly 10 years and has managed search engine optimization at companies like PayPal and Airbnb. And he has poured all of that experience into one knowledge-packed course. ClickMinded is perfect for anyone who wants to learn SEO as fast as possible without sacrificing content. This course will not only give you pertinent information regarding SEO but also shows you how to implement specific strategies. ClickMinded has trained more than 8,700 people (many of them Sumo-lings) on SEO and digital marketing. It’s helped tiny startups all the way up to the Airbnb growth team. Tommy was putting in that work at Airbnb! Set you up for success. Discover the one thing you need to do before implementing SEO, the 14 tools Tommy uses, and what a sales funnel is and why you need it. Teach you about organic search in 2018 (yes, things really do change every year). Get an explanation of what SEO is/isn’t, how to implement the ClickMinded Framework on any search engine, and what the most important and underrated aspects of SEO are. Help you understand what users want and how to create a powerful data-driven strategy. 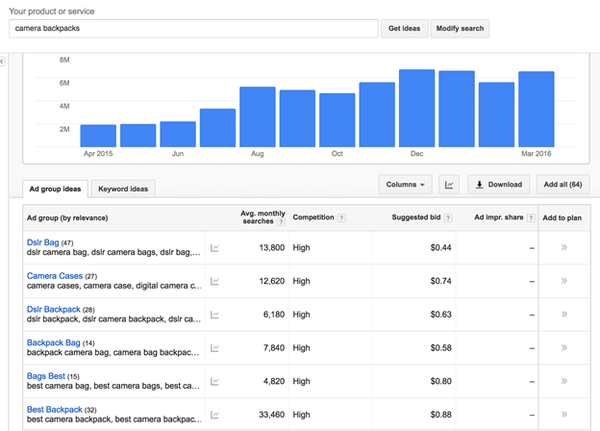 Master keyword research, third-party tools, and content plan creation. Focus on the two things that should drive your digital marketing strategy instead of going all over the map. Show you how to rank in search engines. Learn what “Document Relevancy” is, common optimization misunderstandings, the eight on-page elements you need to optimize to SEO-proof all of your content, and how to use Latent Semantic Indexing (say that three times fast). ..and so much more. We're not kidding; this is just scratching the surface of the things you'll learn. Last year, ClickMinded released a whole bunch of great new digital marketing courses, along with an SOP library. 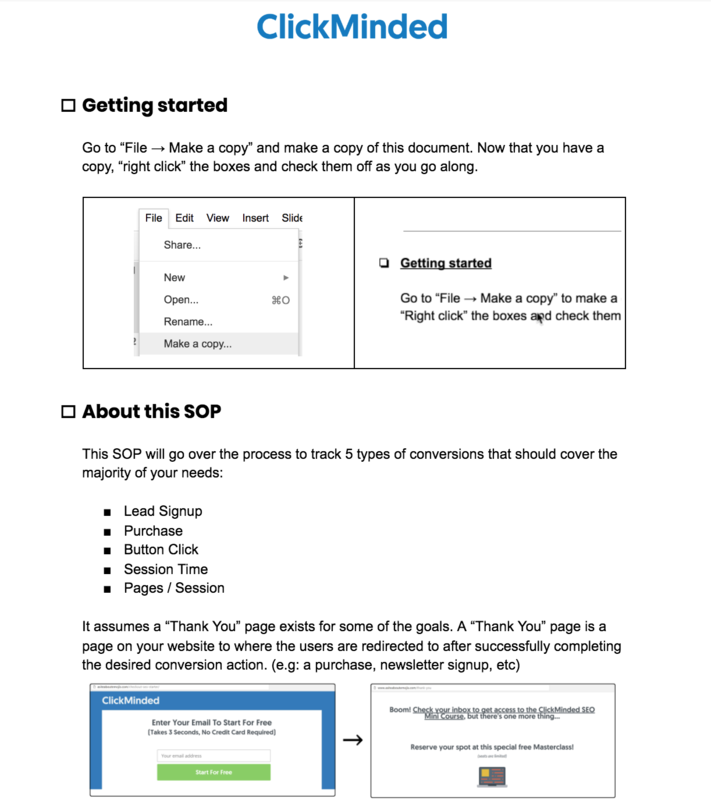 SOPs are super-specific checklists that show you exactly how to implement what you’re learning in the courses so that you can grow your business faster than ever. Since we've been working with Tommy and the ClickMinded team for many years now, we were able to lock down an even-better-than-usual deal for y'all. Not only were we able to secure two of the most popular courses for you, but you'll also get 3-months of free access to the ClickMinded digital marketing SOP library. Usually, to get access to this bundle of joy, you’d be spending $1,285. But, today is your lucky day. Learning SEO doesn’t have to be hard or expensive. Get your SEO education on now! Click here to grab lifetime access to ClickMinded! 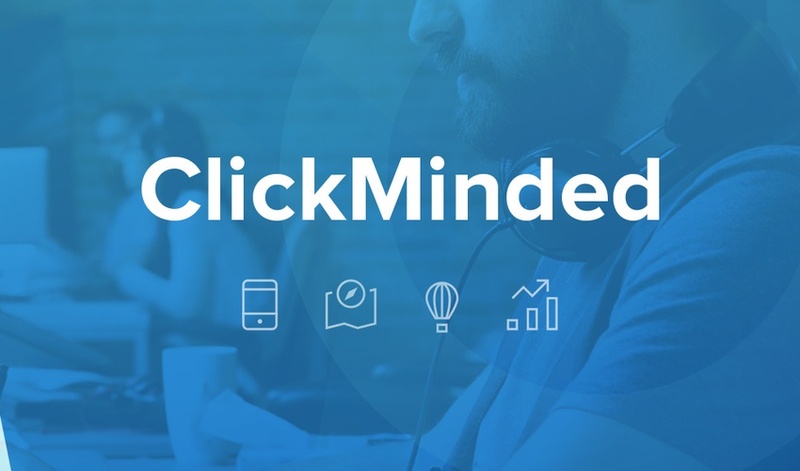 ClickMinded’s world-class instructors tackle SEO every day and have built their lives and reputations and around it. Seriously. Tommy refuses to answer to anything other than ClickMinded Tommy. (Or Tickle Monster Tommy but that’s a story for another day). Yes, some free courses and resources can be found on the interwebs. But while they might work for the Sumo-lings who have months or years trying to figure things out themselves, the rest of us ain’t got time for dat. Whether you want more clients, traffic for your business, or a skill that will make you infinitely more valuable to employers, conquering SEO is crucial. ClickMinded is the best way to learn SEO and get more traffic and sales from search engines. Get lifetime access for just $149! 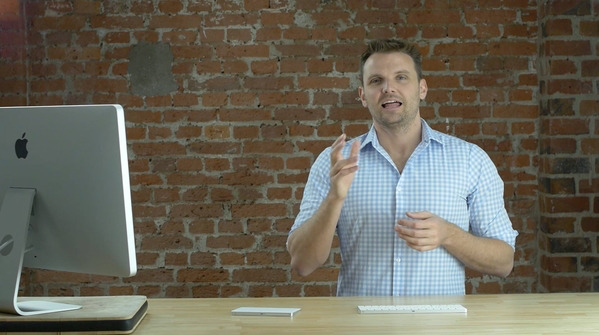 Enroll in this amazing SEO course now! P.S. Want even more insight on the SEO awesomeness you'll learn with ClickMinded? Check out a replay of our ClickMinded webinar here.